Since first introduced in 2001, patients from across the country have been using Nexium to treat chronic heartburn and related conditions. While patients may have been prepared to deal with the drug’s disclosed side effects such as dry mouth, abdominal pain, and headaches, most were not ready for the drug’s more serious side effects. Nexium packaging and warning labels don’t list a high risk of developing kidney problems and dementia as possible side effects, yet several academic studies revealed taking Nexium for an extended period of time may lead to developing these conditions. This omission by the makers of Nexium have triggered lawsuits across the country. A Nexium patient who developed chronic kidney disease and received a kidney transplant filed the first federal kidney disease case against the drug manufacturer in May 2016. The suit alleges the pharmaceutical company received complaints about Nexium’s link to kidney injury as early as 2004, yet continued to market the drug aggressively without adjusting its warning label. These severe side effects of Nexium use – acute kidney injury, chronic kidney disease, and dementia – are devastating medical conditions that affect families and patients emotionally and financially. Treating kidney conditions can require dialysis, kidney transplant and grafts — all of which are expensive and don’t always save a patient’s life. According to the National Institute of Diabetes and Digestive and Kidney Diseases, kidney failure cost the U.S. roughly $42.5 billion in 2009 — $29.03 billion in Medicare costs and $13.47 in private funds. As can be assumed from the numbers cited above, developing these side effects can lead to thousands in care-giving expenses, treatment costs, and sometimes cause the patient to lose income due to their condition. Depending on a particular patient’s case, there may be grounds to file a lawsuit for damages. Our law firm is currently investigating Nexium lawsuits from across the country. 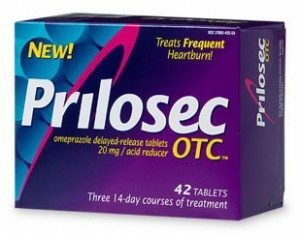 Contact our office immediately if you or a loved one suffered from some type of kidney disease after taking Nexium, Prilosec, or Prevacid.